Sunday: Today we went to church (nothing surprising). I was called to serve in the Relief Society as the 1st counselor. I have mixed emotions… One being able to take this calling on. It is more demanding… Busy. I do like to stay busy and I know this will keep me really busy. I just hope I will be able to do what I’m supposed to be doing and serve how I’m supposed to serve. I am excited for this opportunity to be able to go and visit many of our neighbors and to get to know more people and get to know them better. Church was good. We went to my sister-in-law’s (Yolanda’s) house to hang out with all the family and for dinner. 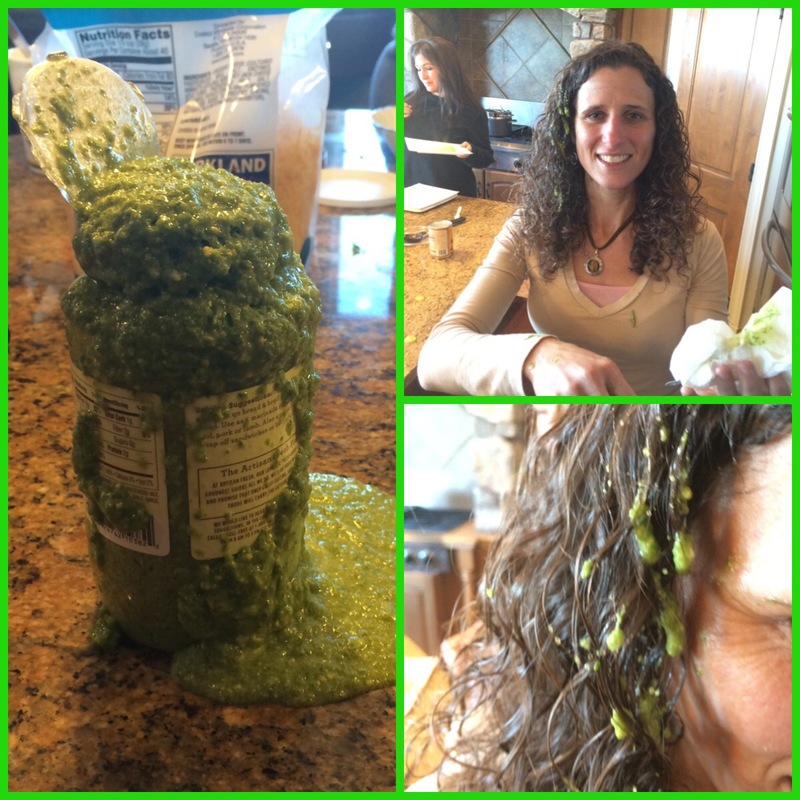 I was asked to open up some pesto sauce… Yeah… It was old! I did get it all over my face but was able to wipe it off before Corom took a picture. Oh and I stunk the rest of the night!!! My 3 older girls did spend the night at their house with her kids and Corom’s brother (Jarom’s) kids… From my understanding, they went to bed late! Monday: This morning I was able to go out for my run at 7:15. It felt great to sleep in! I did run about 7 1/2 miles all up hill to Yolanda’s house. It was brutal. 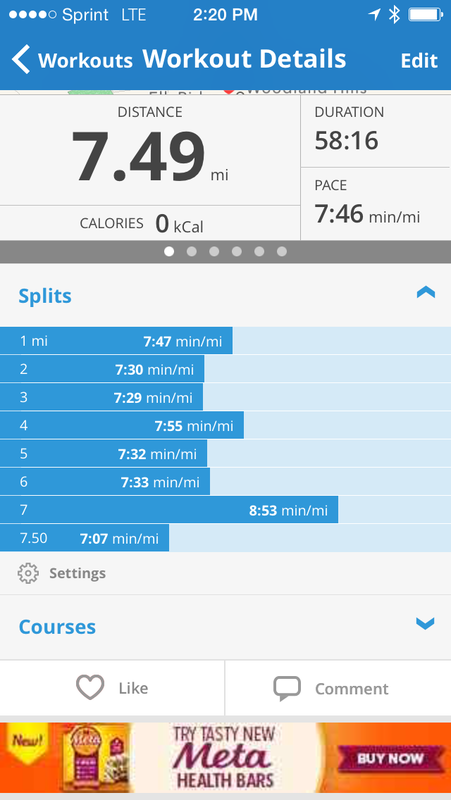 I tried to keep it under 8 min a mile but my last mile was an 8:50 something. It was tough!!! I met Corom up there with our youngest… We all had breakfast burritos and cinnamon rolls (I had 2 burritos :/). We hung out for a little over an hour until Jarom and his family had to leave for home (in California). I decided to run home (the shorter route). It was downhill but I felt so sick from those burritos and cinnamon rolls. Ugh… Side ache and nasty feeling in my stomach and throat. 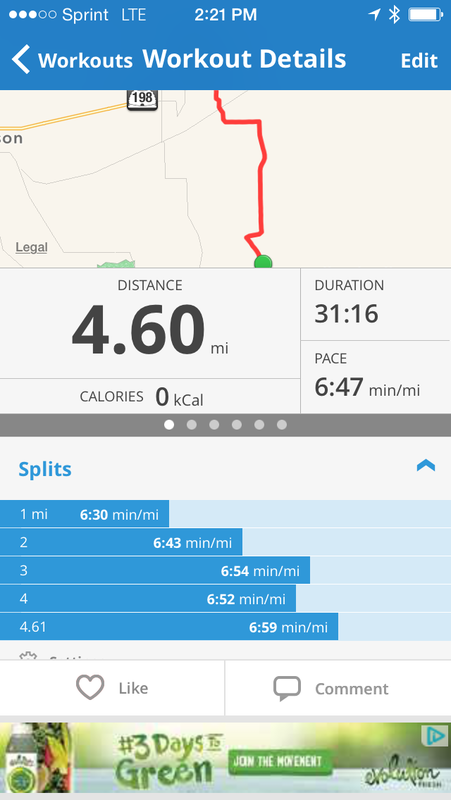 Oh well… I was able to get another 4 1/2 miles in. The rest of the day, we hung around the house (no school & work because of Presidents Day). 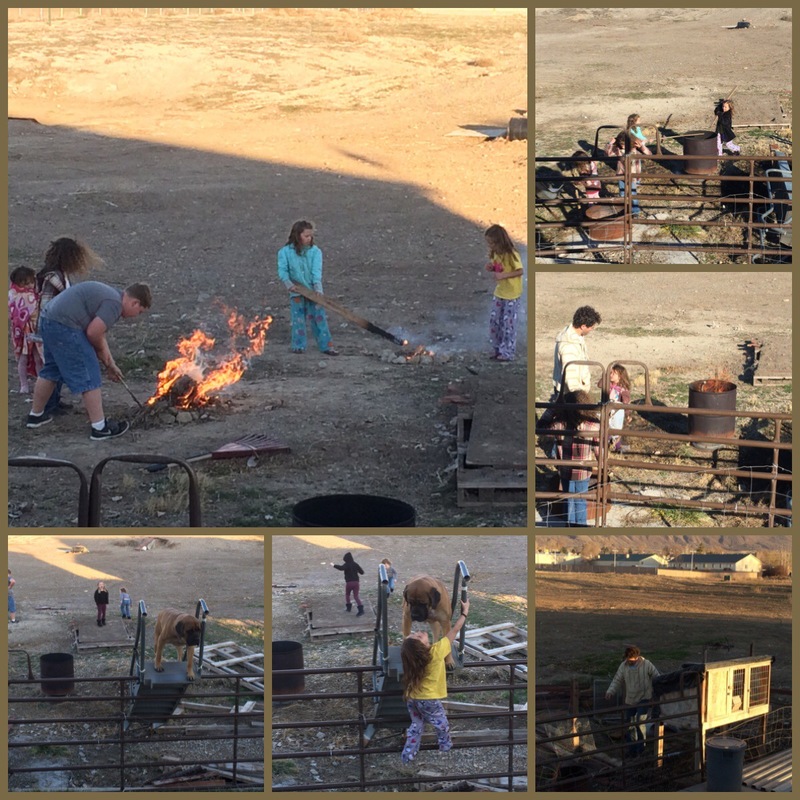 The girls played inside and outside all day (without doing a single chore)!!! But I also wasn’t in the mood to fight them today. Yeah… Corom was right in the mix of it all too. I did take my oldest out on our one on one date. She is so funny!!! 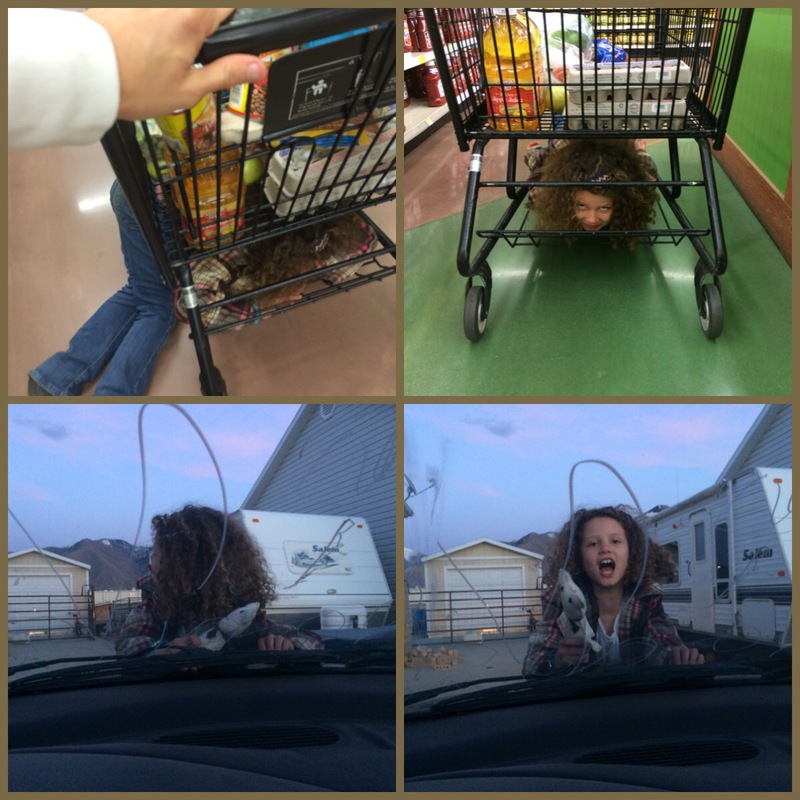 We did go grocery shopping… We had to pick up stuff to make s’mores for our Family Night. 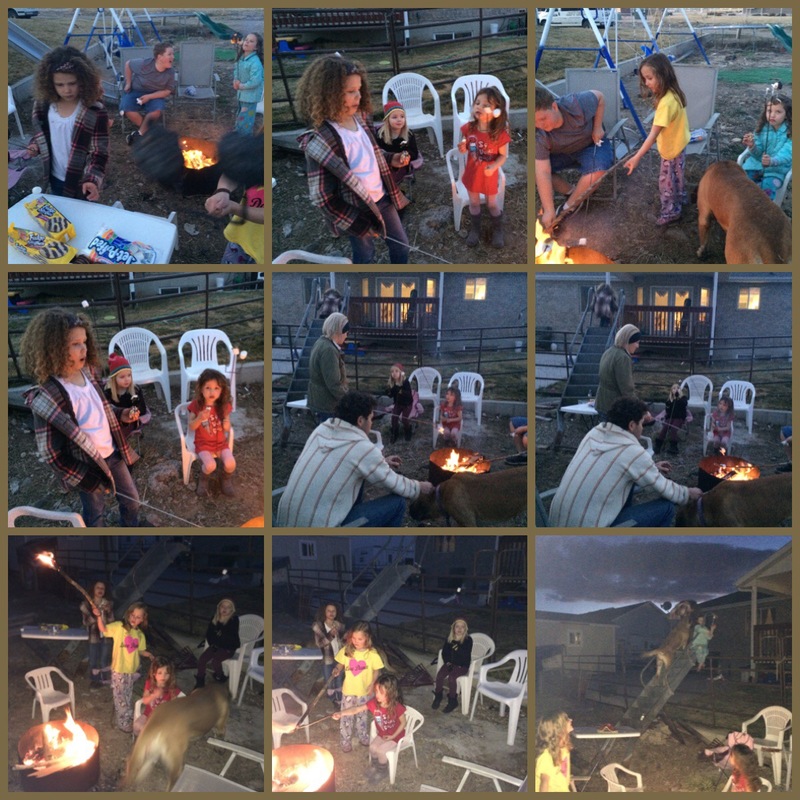 The Rudds (our next door neighbors) met us outside and we cooked up s’mores together. The girls made me nervous on many accounts but we had a good time. What a fun weekend! I have definitely done the run after a burrito before and gotten pretty sick to my stomach. At the time I remember being surprised too…..We are a strange bunch 😉 But hooray for a sleep in and a run too. Well deserved!